Except on Karlstad SSS, see more info below. Valid for all stages and arenas during one given day: Friday, Saturday or Sunday. Day Tickets are sold at all entrances to all stages. Valid for the Super Special Stage on Thursday or Saturday. The ArenaTickets are sold at the entrance of the arena stage. All arenas and stages of Rally Sweden are subjects to documentation through photography, filming and sound recording. 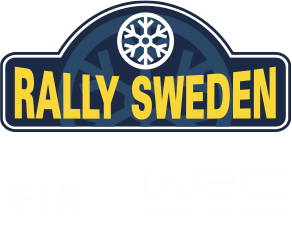 Collected material may be used by Rally Sweden for information and marketing purposes. As a spectator you agree to participate.